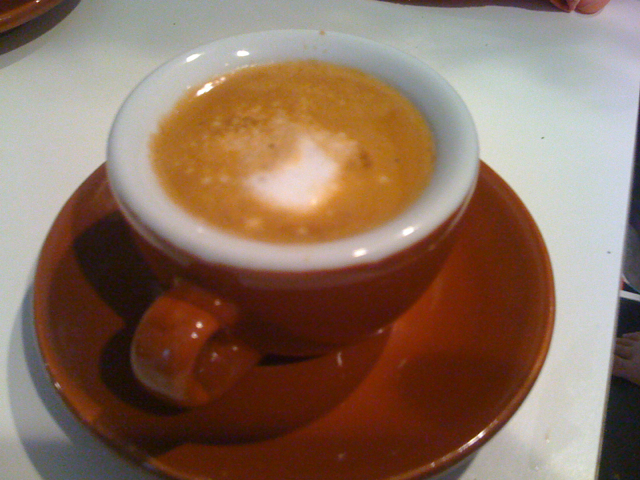 A perfect cortado–a shot of espresso or two with a matching volume of steamed milk–can be found the excellent Flan Y Ajo. Here you can also find a Spanish pinball machine, a quiet place for an excellent lunch, and a worthy replacement for Farmstead Downcity. At Blue State, if you can, order the cortado to stay–not to go. The glass makes a big difference.